For any and all who might have a collection of Archery Magazine at home. I'm looking for a good quality scan of the article entitled, Wish I had Known Him Better, in the January 1962 issue. Sorry, can't help you, but maybe this will help keep it up a while. Good luck with it. 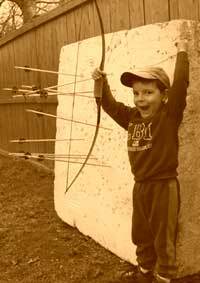 My Dad Kirk Sawyer used to write and take photos for Roy Hoff's Archery Magazine. Not until the mid-60's however. Liquid Amber maybe able to help with that. Hope that You can find the MAG or article? I presume SERIOUS reason. BLESSED BE! Well, it's serious to me. An article written by Mary Powell about Lowell Drake, Harry Drake's father. Snd Mary was Rube Powell's wife. jazz...did you try skookum (Fred Anderson) ? Send him a PM he MIGHT have a source for you. I had not. Thanks for sending the request.